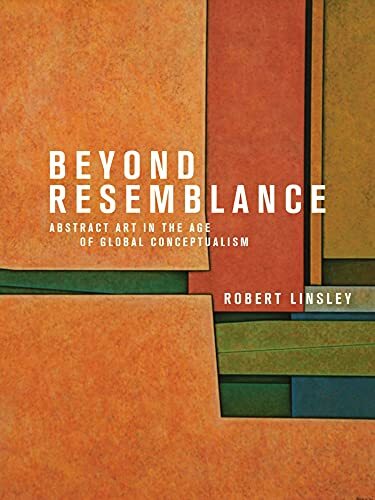 Robert Linsley has produced a refreshingly distinctive, insightful, and deeply knowledgeable book. As both an innovative artist and an incisive critical writer, he speaks as an insider about the contemporary state of the fine arts, especially as it bears on the abstract end of the range of current practices. Linsley writes with the clarity of a classic figure like David Sylvester and the verve and quirkiness of an independent voice like Dave Hickey. His text ought to stimulate a significant amount of discussion in the art world; and if it doesn't, then shame on the art world. Richard A. Shiff, University of Texas at Austin --Richard A. Shiff, University of Texas at Austin"
Art today may be global, Robert Linsley argues in this book, but it is the same everywhere you go: full of intentional meaning, statements, and even branded images that insist on a particular message. That is to say, art everywhere is conceptual. In this first critique of global conceptual art, Linsley looks back at an older genre, abstract art, to reclaim some of its lost value not as an empty commodity to be traded by the wealthy but as a way for us to find perspective amid chaos. Linsley shows how abstraction is a response to the world we live in, one that deliberately avoids moralizing, explanation, or overt polemic. He champions the work of lesser-known but important artists from India, China, and Latin and Central America, such as Vasudeo S. Gaitonde, Ding Yi and Gunther Gerzso as well as the more familiar names from history, such as Lucio Fontana, Frank Stella and Gerhard Richter, treating their work with equal seriousness. He also looks toward abstract art s future, showing that it still has plenty of life and purpose as a genre that helps us find a clear space to make sense of the times we live in. Ultimately, Linsley demonstrates the unique, rich, and full experience that abstract art can give us. Richly illustrated, this book is a must-read for art historians and art lovers. "